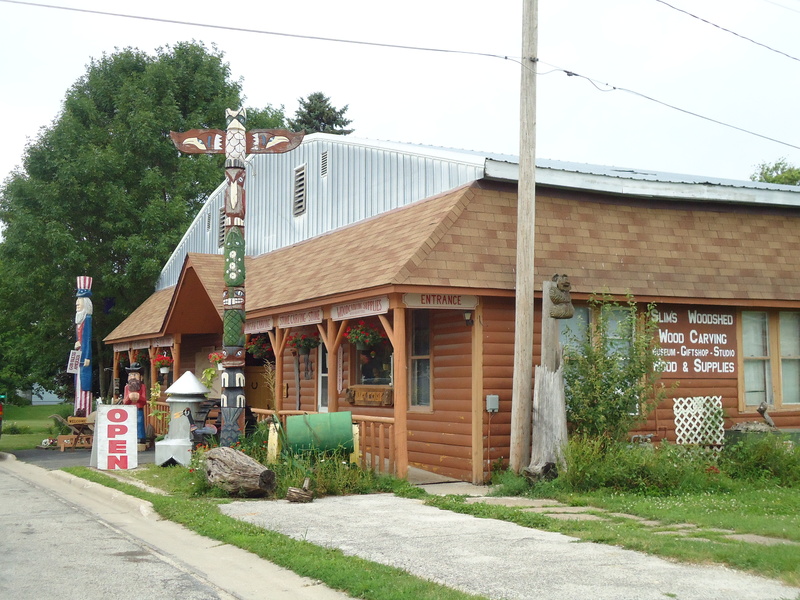 Slim’s Woodshed, in the small town of Harmony, MN (south of Rochester, MN), is a fascinating place. 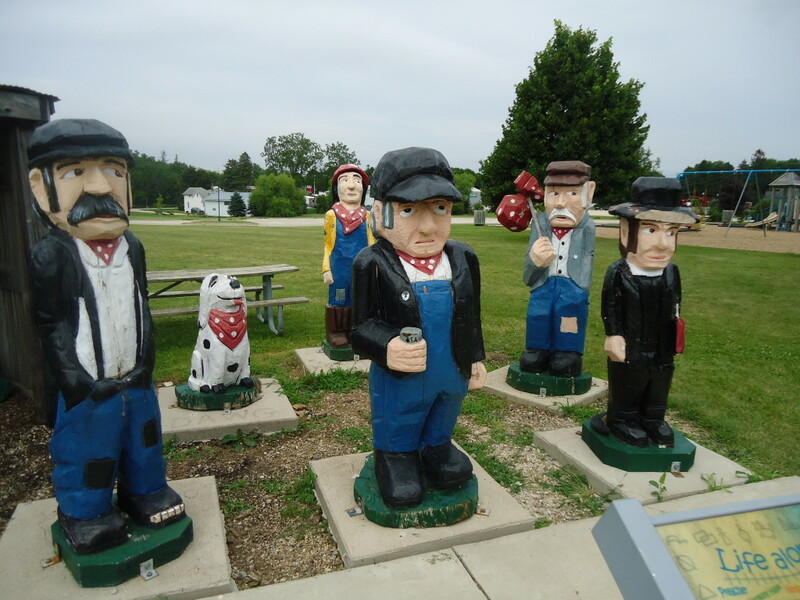 It’s a museum known as the largest Woodcarving Museum in the United States, home to over 4,000 pieces, collected and/or created over a 60-year span by owner Stanley “Slim” Maroushek. There are pieces here chainsaw-carved from logs and tree trunks, down to matchsticks and toothpicks. 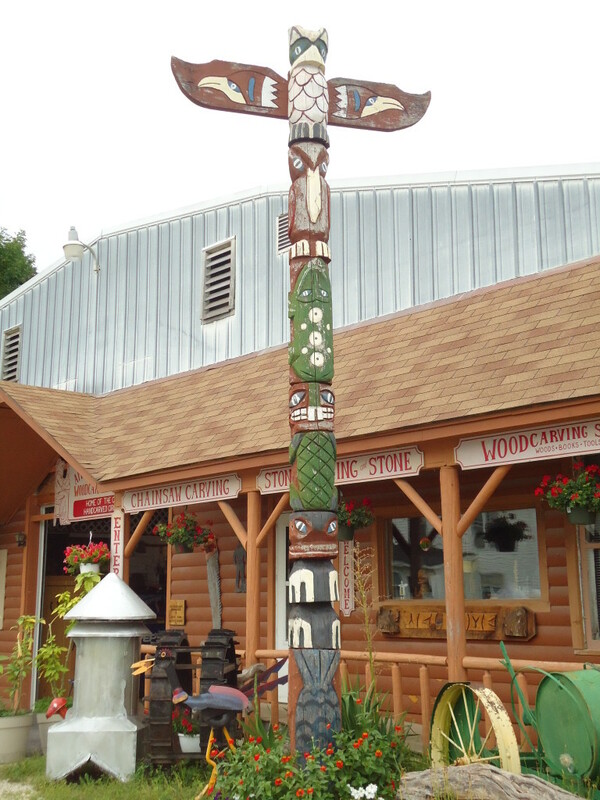 Out front of the Woodshed you are greeted with a two-story tall totem pole, a cowboy, and an Uncle Sam statue , all carved from logs, of course. Once inside, there is to be seen an extraordinary collection of everything imaginable carved from wood. There are pieces here from the U.S., Czechoslovakia, Germany, Russia, and Japan, just to name a few. 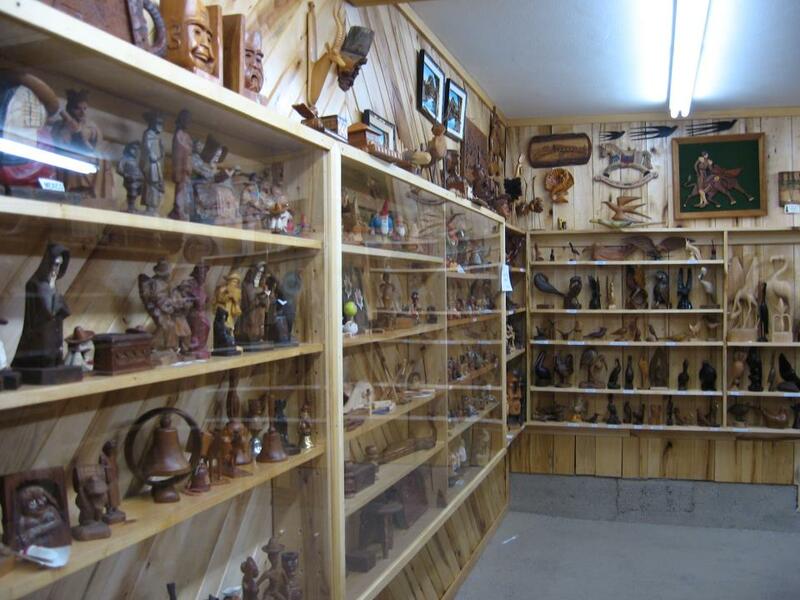 The impressive collection is a lot to take in, especially considering they are all handmade. During the 45 – 60 min. 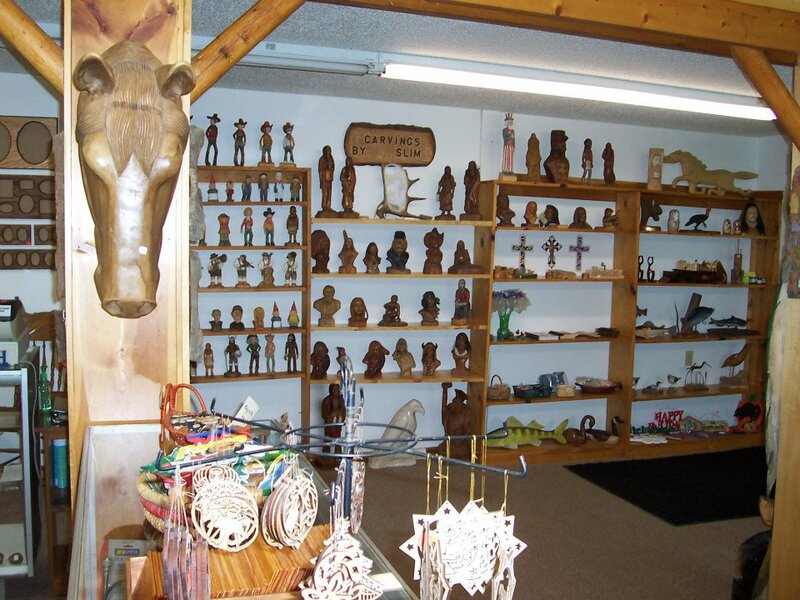 guided tour, you will learn about all the different types of carvings and wood species. 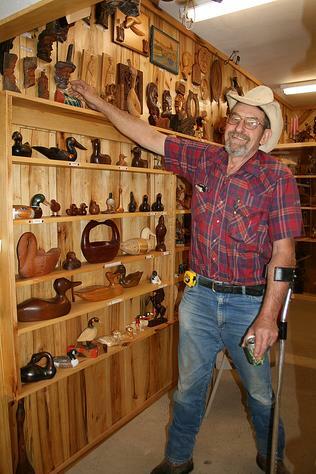 There is an antique store, a gift shop, and a workshop where visitors can learn the ins and outs of the art of woodcarving, by Slim himself. 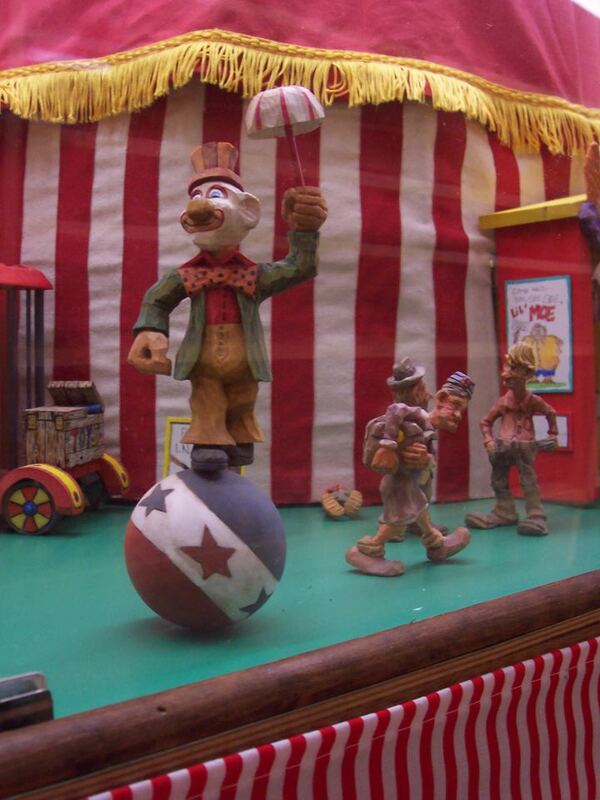 One of the museum’s biggest attractions is the Caricature Carver’s of America’s 120-piece, full two-ring circus. What really stands out is the detail, considering it was all hand-carved and hand-painted. 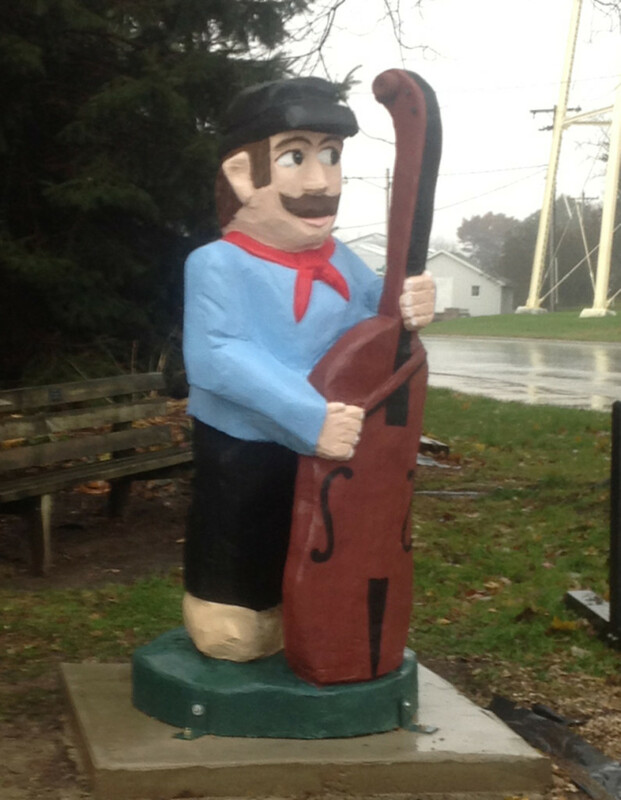 Outside of the museum, woodcarvings can be found all over town in Harmony, and in neighboring towns as well, including musicians, animals, a Nativity scene, and the Three Stooges in next-door Spring Valley. 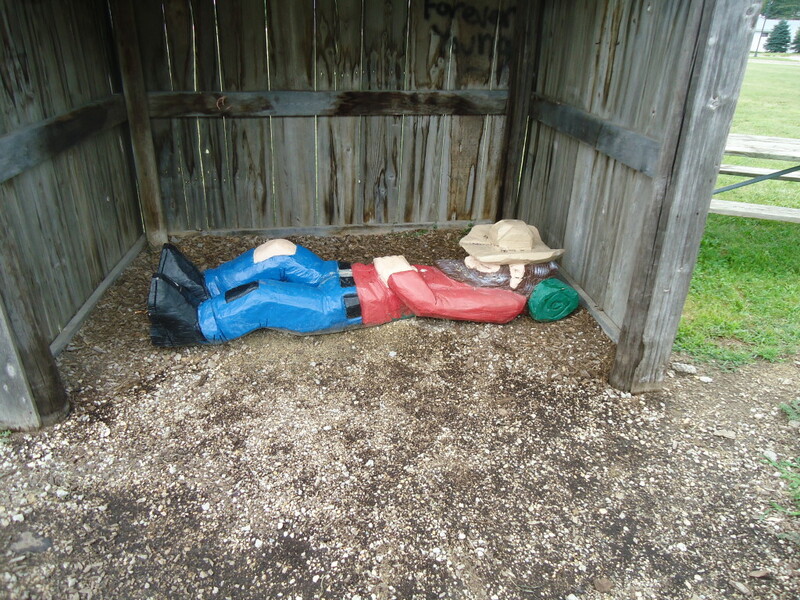 And just on the north side of town is the “Hobo Camp,” a collection of Slim’s woodcarved hobos, gypsies, and vagabonds, located at Trailhead Park, where the Harmony-Preston Valley BikeTrail comes through town. The concept here is to commemorate the life of hobos who traveled the rails throughout America, which of course led through Harmony at one point. Slim’s Woodshed is definitely worth a stop if you ever pass through the area. Slim himself will likely be the tour guide and will often give demonstrations on his craft. 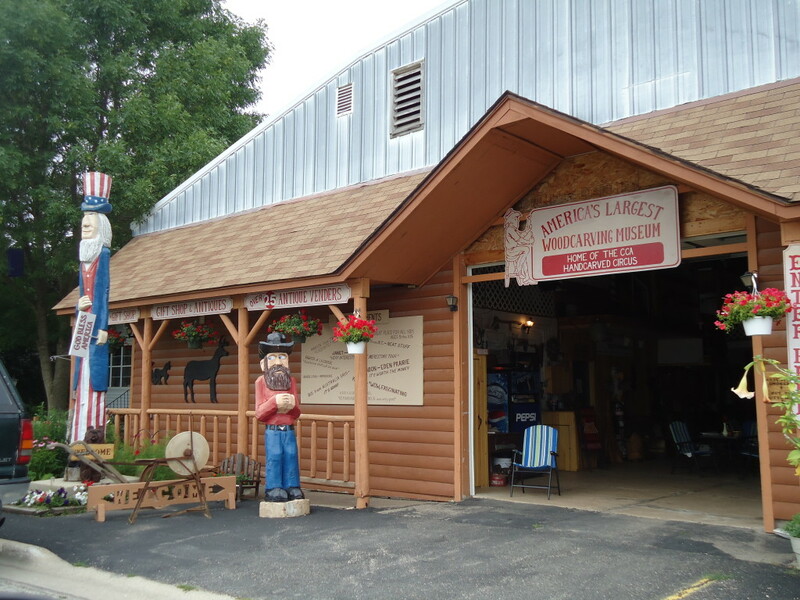 It’s a fun little find in this hidden gem of a town in an amazingly beautiful part of Minnesota. 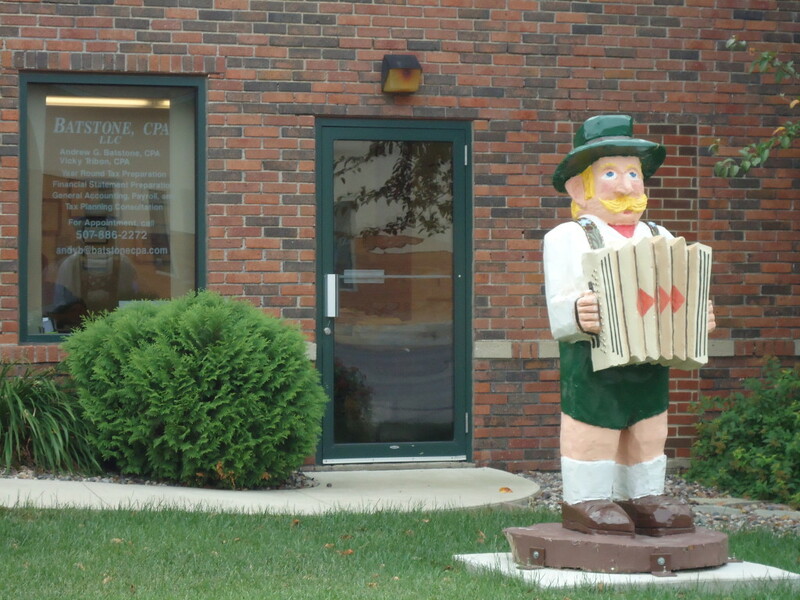 While in the area: Harmony just down the road from the fascinating Forestville and its counterpart Mystery Caves State Park, and Minnesota’s Amish Country is also just down the road. 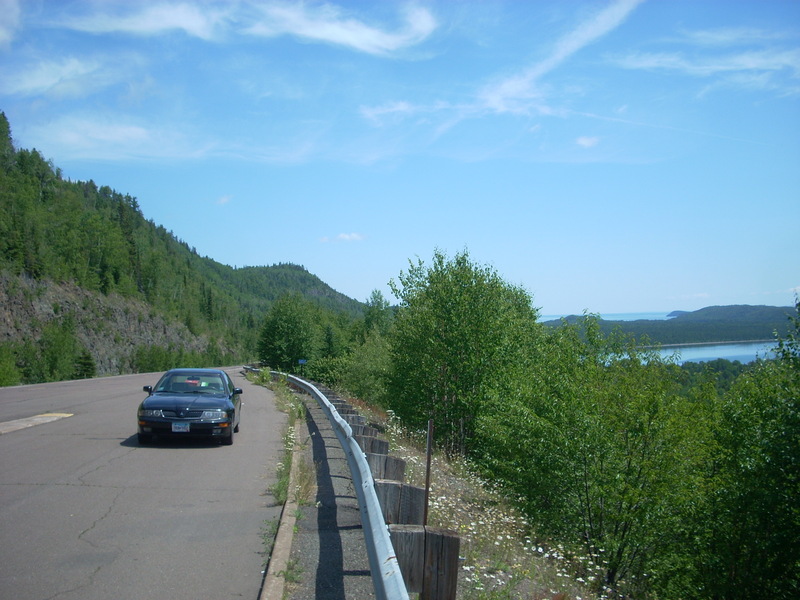 This area is bluff country as well, with hiking, fishing, and biking the Root River Trail all only minutes away. Our school trip was very interesting and educational with all the carvings to see and to learn about different woods. Some that glowed under black light and other that gather the falling stars at night. And all sort of other cool things. All kids and teen would enjoy it.